If you’re in need of a quality fence company in Weatherford, TX, you’ve come to the perfect place. 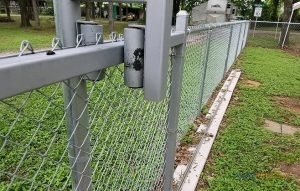 The professional crew at Ware Fencing can help you with fence repair, in addition to fence installation or replacement. Our services are available to help homes and businesses to increase security, increase property value, and increase curb appeal. We are fencing professionals, and regardless of what your objective is with your fencing, we can help you achieve it. Call our team of fence experts now at 817-948-4503 to learn more about our services, as well as your fencing options. Our team has been servicing homes as well as businesses in this community for years, and we are a local fence company Weatherford can count on. Though most residential fence installers have limited resources, our crew can even provide farm and ranch fence services to our clients. You can choose from any of our home fencing options, including bamboo, iron, chain link, and more! Cedar fences provide a great amount of privacy, but you can count on aluminum fences to not obstruct your view, if that is what you prefer. If you are looking for additional security for your house, we do offer special security fences, in addition to the traditionally secure wrought iron. Our team is so skilled and experienced, we can also provide you with custom fence designs, created to your precise specifications. 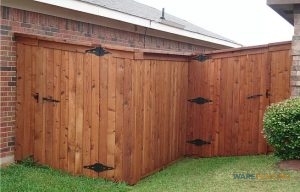 If you’re looking for a fence company in Weatherford, TX that you can count on, look no further. Ware Fencing is dedicated to providing unbeatable customer satisfaction, along with utilizing top quality materials that are designed to last. If you are searching for a particular fence, you can rely on our crew to work hard to create it exactly as you imagine it. Give the team a call at 817-948-4503 today to set up your appointment, or to request a quote. Regardless of what your fence needs are, our experts won’t let you down!